Jennifer M. Harris joined in 2018 as Senior Fellow in Special Projects at the William and Flora Hewlett Foundation. She directs a two-year, $10 million exploratory effort to develop new ideas and intellectual frameworks in economics and economic policymaking. Jennifer is also a nonresident senior fellow in foreign policy at the Brookings Institution, and a fellow at the Roosevelt Institute. Previously, she was a senior fellow at the Council on Foreign Relations (CFR), writing and speaking on international economic issues, U.S. foreign policy, and climate and energy policy. Prior to CFR, she served as a member of the secretary’s policy planning staff at the U.S. Department of State. In that role, she was lead architect of Secretary of State Hillary Clinton’s economic statecraft agenda, which launched in 2011. Jennifer began her career serving on the U.S. National Intelligence Council staff, covering a range of economic and financial issues. Her work has appeared in The New York Times, Foreign Affairs, The Washington Post, Politico, Bloomberg, and CNN, among other outlets. 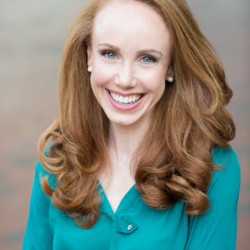 A Truman and Rhodes scholar, she holds bachelor’s degrees in economics and international relations from Wake Forest University, a master’s degree in philosophy from the University of Oxford, and a juris doctor from Yale Law School. With Robert Blackwill, she is the co-author of “War by Other Means” (Harvard/Belknap 2016).